The murdered mother and daughter. The house in Għaxaq where Joseph Bonnici murdered his mother and sister bore clear signs of habitation, sparking investigators to sense that its occupants appeared to “have left in a hurry”. This sensation, together with a number of inconsistencies in the version supplied by their suspect, was recalled on Tuesday in open court as the compilation of evidence continued against Joseph Bonnici, the man accused of the double murder. 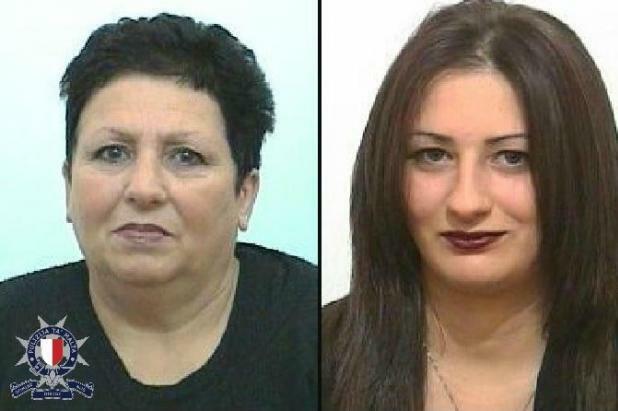 A succession of officers from the Żurrieq and Żejtun police stations shed further light upon the investigations, which had been sparked off by a report on March 27 concerning the alleged disappearance of Maria Lourdes and Angele Bonnici. The report eventually evolved into a full-scale murder inquiry when the man who filed the report confessed to having murdered the women. Mr Bonnici had claimed to have last seen his mother at around 7am on March 27 when she had allegedly waved to him from her balcony. Yet, only a few hours later, towards 2.30pm, the man had gone to the local police station to file a missing persons report, allegedly prompted by his father who had voiced concerned when his routine calls from jail went persistently unanswered. One police sergeant who had visited the missing persons’ home, recalled on Tuesday, that as he accompanied Mr Bonnici around the house he sensed something he could not quite figure out. The home had presented clear signs of habitation, with the mother’s mobile phone still switched on, left lying on a chair, a half-filled mug of coffee in the kitchen, and a plugged-in laptop inside the daughter’s room where clothes were strewn across the bed. A handbag revealed a purse with Angele Bonnici’s personal documents still inside. The CCTV monitor at the mother’s bedside was switched off and the four cameras of the system were unplugged, the court heard. A stone slab had been removed by Mr Bonnici to gain access to his mother’s adjacent residence, explaining to the visiting policemen that “he was concerned about his relatives”. His mother used to place a wooden bar behind her door, as added security, “because they were scared” the man had told the officers, answering with an “I don’t know” when asked about the cause of such fear. That reply, reiterated several times by the man throughout the house inspection, raised suspicions. One of the prosecuting officers, Inspector Roderick Attard, also took the witness stand on Tuesday recalling how the localisation of Angele’s mobile phone had given its bearings at “Għaxaq Parish Church”. That was before Mr Bonnici had admitted to the murders. Following that admission, the inspector recalled the heavy silence that characterised the ride in the police car to the Għaxaq field, save for directions by the accused who, once there, refused to accompany the officers to the burial site. “Jien nurikom fejn però m’iniex se niġi maghkom ghax m’hemmx xena sabiħa,” (I will show you the location but it's not a pretty site) the man had uttered, while indicating the spot by a rural room, next to a rubble wall where the lifeless bodies of mother and daughter were eventually found. Another officer recalled how shortly after the accused’s arraignment, whilst being handed over to the prison officials, the man had said he had to start from scratch, before breaking down in tears. A man who ran a florist’s shop, described his former employee as an exemplary, hard-working man who had never caused any trouble and had always performed his tasks “even better than” his own employer. The suspect was loved by all and many had approached his former boss over the past days, expressing both shock and disbelief over the criminal allegations in his regards. Inspectors Keith Arnaud, John Spiteri and Roderick Attard prosecuted. Lawyers Franco Debono and Marion Camilleri are defence counsel.